This weeks moment of excellence hi5 goes to Mrs. Quinn. Mrs. Quinn volunteers in our library every single week she spends countless hours helping kids find the JustWrite books. 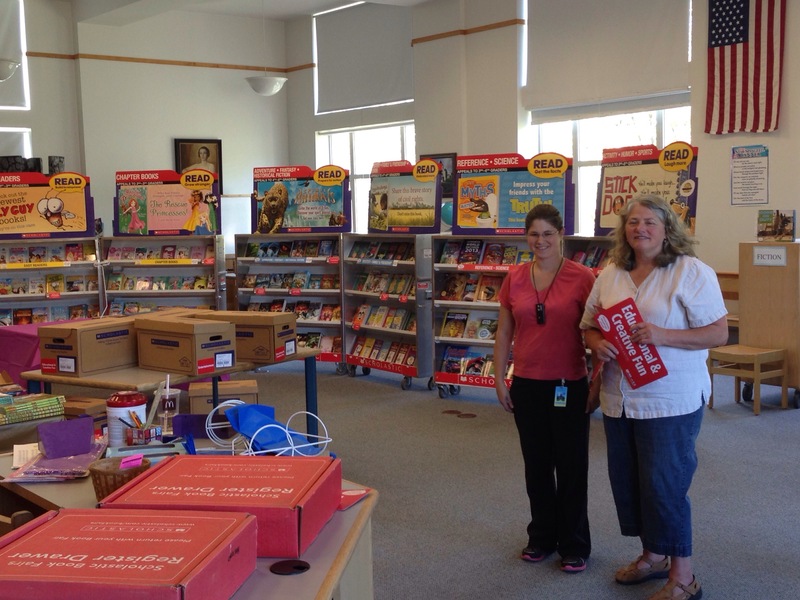 She works on weekends and even over the summer, but this week she spent her time preparing for the Scholastic book fair which every kid at RCS loves. Mrs. Quinn is another fantastic example of what makes the Royalston Community School great! Thank you for your dedication to all the students, staff, and the parents of our school. Thank you to RCS unsung hero, volunteer librarian, Mrs. Quinn, for volunteering hundreds of hours over the years watching generations of children & families enjoy the simple pleasure of reading. Her time, commitment and hard work coordinating our annual fall Scholastic Bookfair provides funds used to purchase books, enriching the learning environment of everyone that pass through the doors of our automated library/media center. Thank you to parent volunteer, Mrs. Gaulzetti, for your time and assistance in the set up of our book fairs over the past several years. It is volunteers like Mrs. Quinn and Mrs. Gaulzetti that help to make RCS the great school that it is.